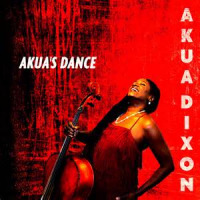 Lyricism and elegance are two words that come to mind while describing cellist Akua Dixon's third release under her own leadership, Akua's Dance. Two sessions comprise this engaging album on one of which Dixon plays, the rarely heard, baritone violin. The joyous ambience and the instrumentation, Dixon accompanied by guitar, bass and drums, are reminiscent of gypsy jazz. This is most apparent on the undulating "If My Heart Could Speak To You" with guitarist Russell Malone engaging Dixon's cello in an expressive and swinging dialogue. Dixon takes center stage with an eloquent and complex spontaneous monologue followed by Malone's charming and erudite extemporization. Another guitarist Freddie Bryant brings a Spanish touch to the tango-esque title track with his agile and supple chords. Dixon embellishes the yearning melody with urbane passion. Bassist Kenny Davis and drummer Victor Lewis add a touch of intrigue to the emotive piece with their hypnotic vamps. Lewis drives "Afrika! Afrika!" with thudding beats and splashing cymbals. His lithe polyrhythms bring a primal spirituality to Dixon's dramatic original. Dixon's unaccompanied cello opens the music on a captivating note. The band's alternating lines build a vibrant tune that brims with fervor and intelligence with hints of angularity. As the tempo picks up and Dixon improvises with fiery energy and maintains a mellifluous edge. Bassist Ron Carter takes a suave and sophisticated solo that delights with its technical prowess. Similarly warm and soulful is the quartet's take on the traditional spiritual "I'm Gonna Tell God All Of My Troubles." Over Bryant's reverberant strums, Dixon plays the main theme with fluidity and grace. Her interpretation of the song is simultaneously uplifting and wistful. simultaneously uplifting. Bryant showcases his virtuosity with a stimulating and poignant performance that evolves over Lewis' sashaying brushes and Davis' thumping bass. 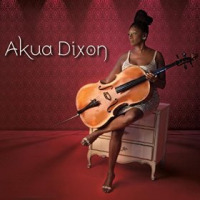 All of Dixon's recordings are equally stirring and spirited which the accomplished cellist/violinist infuses with her characteristic brilliance and charisma. Akua's Dance is not an exception. In addition, it is, perhaps, her most cohesive and most polished work to date. Track Listing: I Dream A Dream; Dizzy's Smile; If My Heart Could Speak To You; Orion's Gait; Akua's Dance; Throw It Away; Afrika! Afrika! ; The Sweetest Taboo; I'm Gonna Tell God All Of My Troubles; Don't Stop. 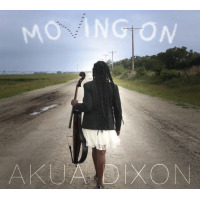 Personnel: Akua Dixon: baritone violin (1, 2, 5, 8-10); Freddie Bryant: guitar (1, 2, 5, 6, 8-10); Kenny Davis: bass (1, 2, 5, 6, 8-10)Victor Lewis: drums; Russell Malone: guitar (3, 4, 7); Ron Carter: bass (3, 4, 7).